Detroit Lions pass rusher Armonty Bryant suspended for once again violating league’s substance abuse policy. Detroit Lions defensive end Armonty Bryant is in trouble again. 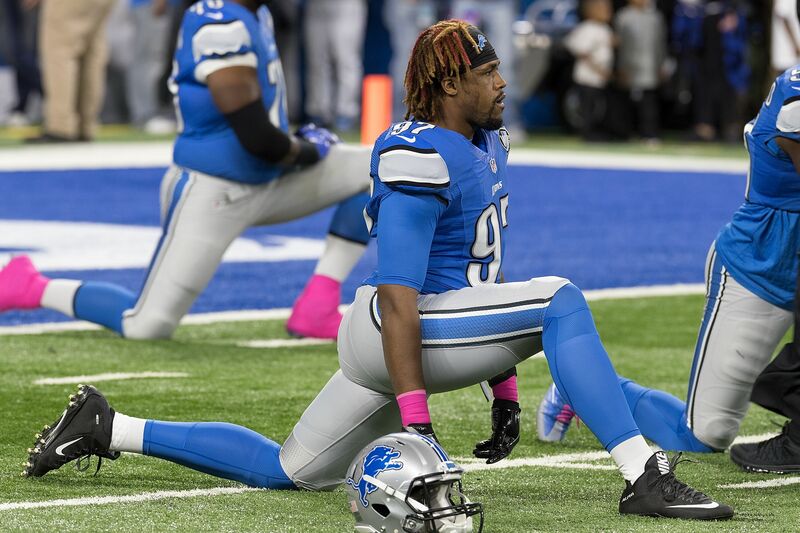 Tuesday, the Lions announced that Bryant will be suspended without pay four games for violating the league’s substance abuse policy. For the Lions and Bryant, this is a familiar feeling. The Detroit pass rusher was suspended twice last season for NFL policy violations. He was suspended the first four games for performance-enhancing drugs and another three games for drugs of abuse. Bryant will miss the first four game of the season. The Lions open up their campaign at home against the Arizona Cardinals before facing the Giants, Falcons, and Vikings. He’ll he eligible to return on Oct. 2, prior to an Oct. 8 showdown with the Carolina Panthers. He’ll be available to participate in all preseason games. and a forced fumble in his five games with Detroit. The Browns selected Bryant in the seventh round of the 2013 draft. During his four-year career, Bryant has amassed 68 tackles with 11.5 sacks. If his troubles in the NFL weren’t enough, Bryant has a drug history off the field as well. He pleaded no contest in 2012 after being arrested for selling marijuana in the parking lot. He is currently still on probation for that charge. In Feb. 2016, Bryant was indicted on two felony drug possession charges stemming from a Dec. 2015 arrest when cops found Oxycodone and Adderall during a traffic stop. It might be premature to call this the end of Bryant’s NFL career, but his limited production and constant off-the-field issues won’t keep him in the league for long.